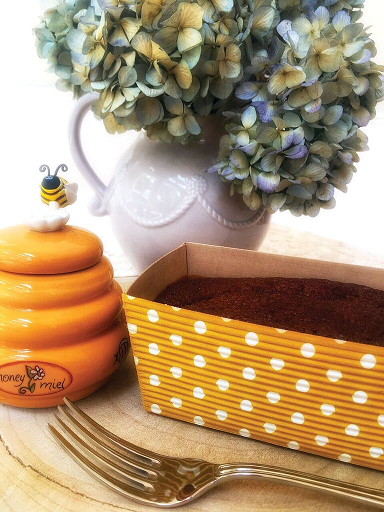 Honey cake photo courtesy of Banu Unel. 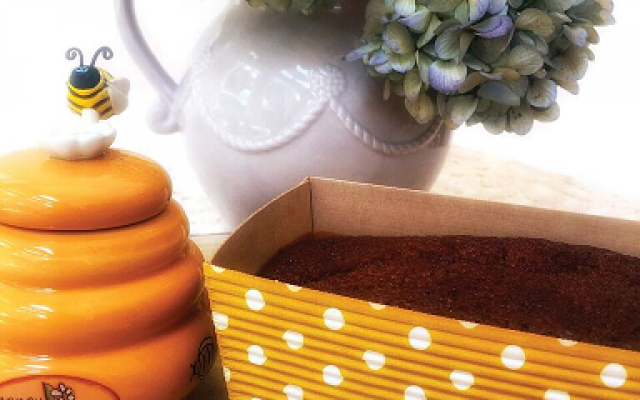 With Rosh Hashanah fast approaching, and fall not far behind, we thought we’d share Ali’s Cookies’ honey cake recipe with you. This moist cake gives you a feeling of warmth as the spices and aromas blend together to create an amazing culinary experience. The recipe is simple and flexible, as you can bake it in any pan type you like, be it a tube pan, angel cake pan, loaf pan, or sheet pan. This flexibility makes it an excellent option for family dinners or gatherings with friends. Small, decorative loaf baking pans are readily available on Amazon. Ali’s Cookies usually uses 4.5-inch or 7-inch pans. Simply bake directly in these pans, let cool, slide into a cellophane bag, tie it closed with a bow, and you have the perfect gift. Ali’s Cookies wishes you a happy and sweet New Year. Generously grease your pan or pans with non-stick cooking spray. For tube or angel food pans, line the bottom with lightly greased parchment paper, cut to fit. Add the liquid to the dry ingredients, beginning with the warm coffee, then the orange juice, oil, honey, egg and vanilla. Scrape the bowl in between each addition. If you are using whiskey, this is also the time to add that in. Using a strong wire whisk or an electric mixer on low speed, stir ingredients together to make a thick, well blended batter, being sure to scrape the bottom of the bowl. Spoon the batter into your prepared pan(s). Sprinkle the top of the cakes evenly with slivered almonds, if desired. Place the cake pans on two baking sheets stacked together to ensure the cakes bake properly. Bake until the cake springs back when you gently touch the cake center. For angel and tube cake pans, this will take 60 to 75 minutes. For loaves, this should take 45 to 55 minutes. Sheet cakes will take 40 to 45 minutes. Let cake stand for 15 minutes before removing from the pan.